In a perfect world, your organization would staff a 24x7 SOC—and have no trouble finding the budget or talent to do so. But the truth is, most organizations can’t afford a 24x7 SOC. The cost of having well-trained analysts onsite at all times outweighs the benefits. 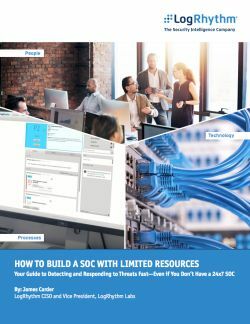 If your organization is making do with an informal SOC, you may be facing delays in responding to incidents. You may even fear that incidents are going unnoticed. It’s a dangerous situation. But there is a solution: building a SOC that automates as much of the security operations work as possible. Download the white paper to learn how you can significantly improve the efficiency and effectiveness of your team.